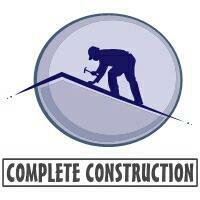 Complete Construction - Builder, Kitchens based in Kidsgrove, Staffordshire. Here at Complete Construction we always aim to please our customers with the highest quality of workmanship we are a family owned and run business, among us all we have over 25 years experience in the building trade. We work all around the Stoke-on-Trent area, we offer every service from kitchens to new roofs to building extensions to just fitting a few door's all areas are covered.